Wildwood is waiting for you! 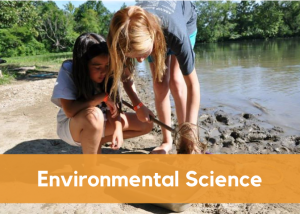 Engage students in a hands-on exploration of the natural world where active learning in a fun, fresh-air environment creates renewal and enthusiasm. 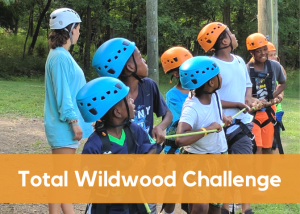 Wildwood programs are designed to achieve positive youth-development outcomes like increased affinity for nature, interest in exploration, teamwork and problem-solving confidence for school-aged kids. Our trained program facilitators meet or exceed national standards for qualifications, screening, practical skills and facilitation skills. 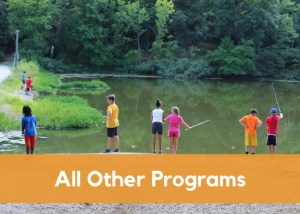 We use a high ratio of staff: participants (usually 1:12 or 1:15) to provide individualized attention, coaching, and supervision for all of our programs. 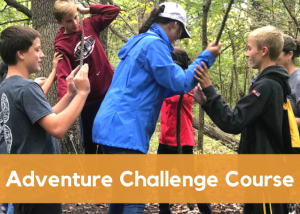 Work through a series of physical and mental challenges on the low ropes course to build teamwork and problem-solving confidence for your group. Experience the rock wall, archery and canoeing. This day is designed for the ultimate outdoor adventure. Combine the adventure challenge course and the giant swing to create the Total Wildwood Challenge. Study aquatic and forest ecology outside at Wildwood. Explore the trails learning about the animals at camp and their habitats. The day is broken into three ecology classes and a canoeing session. 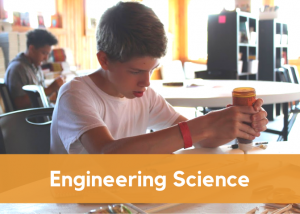 Study renewable energy by building wind turbines, create the best filter for the pond water out of everyday supplies, and engineer solutions using bio-inspired design. Round out the day with a session of archery. Create a field trip that suits your class’ or group’s needs. 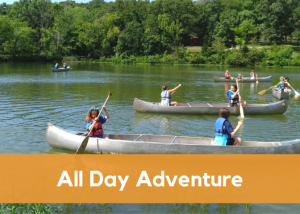 From fishing to canoeing to ziplining, we can help you create a customized day at Wildwood.